2.9 million Instagram followers! 2.3 million Facebook likes! 1 adorable meow face! Wow, just wow! I was so excited to interview Nala. 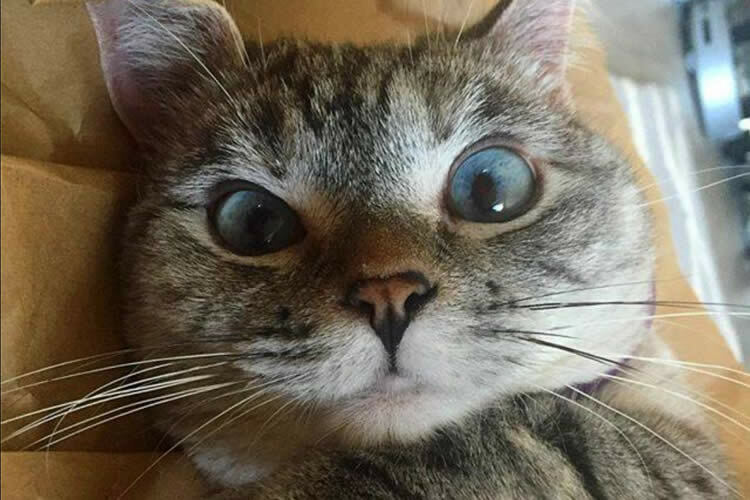 Not only taking to the Internets on the daily to show off all her adorableness, Nala is a strong voice for all shelter animals (she’s a former rescue) and uses her Internet stardom to spread a positive message. Check out our interview with this Siamese/Tabby mix who melts my puppy heart. Nala: I don’t think it has anything to do with being famous or not, but my favorite part is having a loving family and home to nap in all day. So far, the beneficial part of being famous is that it is easier to spread the word and get people to adopt, and give rescue cats like me a loving home. 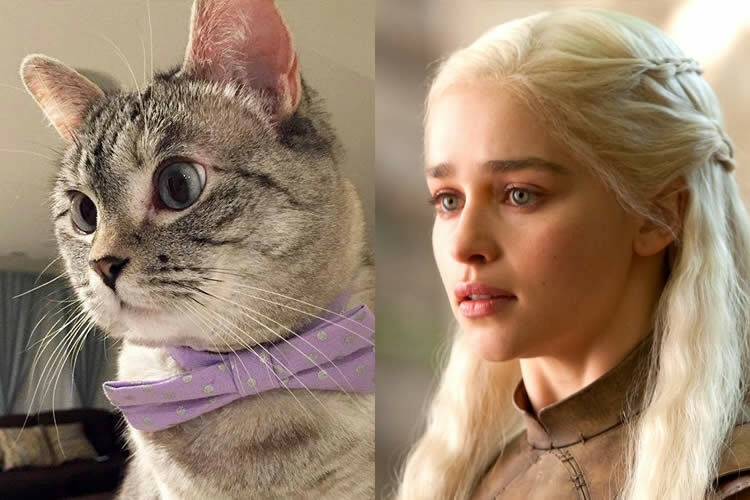 Nala: I wish I could say I look like Emilia Clarke, she’s so pretty and I have big blue eyes like hers! Nala: I have a little brother too! His name is Coffee. He does most of the chasing but he’s a little under the weather now, so we don’t get to play as much as before. Nala: In an empty Sprite box, or empty Kirkland water bottle box with the plastic still attached. I can sleep there all day! Nala: My favorite is Friends, The Big Bang Theory, and between you and me, sometimes I watch the Puppy Bowl…little puppies are so clumsy, it’s adorable! Nala: If there is a mattress quality control and tester job out there, count me in, if not, I see myself volunteering at a no kill shelter, and finding homes for animals who all deserve a loving home. Nala: I really like a little bit of everything….the Beatles, J. Cole, Beyoncé, Adele, The Yeah Yeah Yeahs, Alabama Shakes…I just love music, and there’s too much to list. Sully: What’s your favorite thing you’re selling in your store? Nala: It has got to be the Shark House…I’ve got nine lives so I tend to laugh in the face of danger…and what is more dangerous than living in a Shark’s mouth. It’s exhilarating, each time I step in it could be my last!